New Jersey 5 week old Newborn Photographer - NJ family photographer | maternity and newborn photography in Philadelphia, Cherry Hill, Moorestown, Cinnaminson, and NY. This sweet, darling, handsome, baby boy was such a treat to photograph. Can you tell there is not enough words to accurately describe the cuteness of this little guy. He came into my studio 5 weeks old and boy did he make me smile. I could have photographed him all day long! I think this cutie has given me a severe case of baby fever. 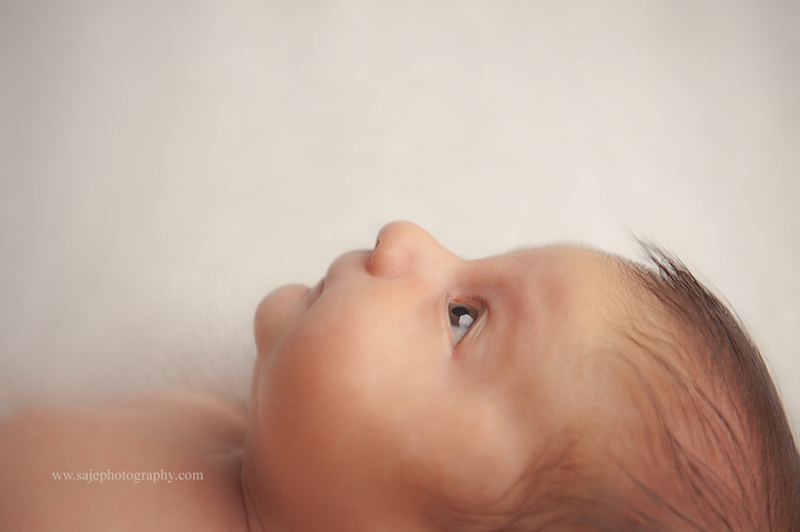 I have to say I think I get the best little babies that come into my Cherry Hill NJ area photography studio. Weather we are doing the photos in studio or outdoor photos I have so much fun. It is a passion to me, sometimes I cant believe that I get to hold and cuddle with newborn babies as soon as they are born. Saje Photography is located in Cherry Hill New Jersey area. Specializing in Newborn Photography, Baby Photography and Maternity Photography in Camden County, Burlington County, Atlantic County, Gloucester County, Salem County, Ocean County, Cape May County, Middlesex County, Monmouth County, Morris County, Bergen County, Essex County and Union County New Jersey. Please contact us for more information or to book a newborn baby session.